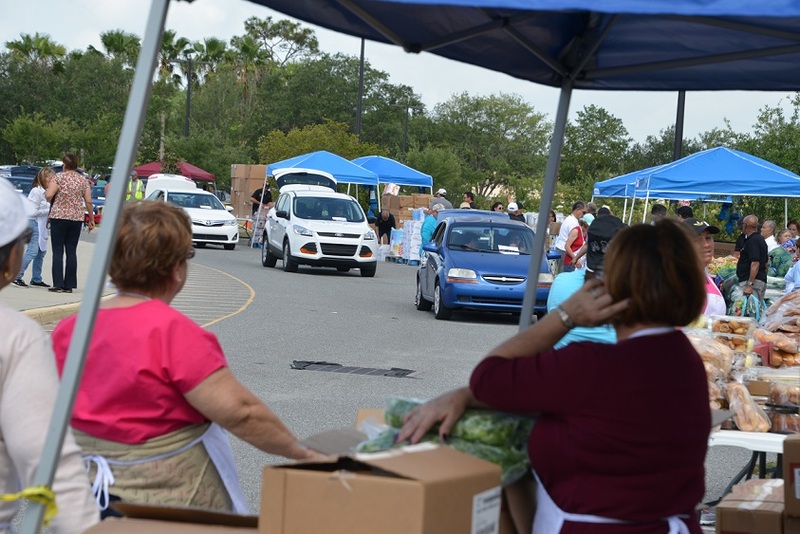 More than 100 cars lined up by 9:30 a.m. on May 1, before the Second Harvest Food Bank truck arrived at St. Catherine of Siena Parish in Kissimmee. That truck was packed with a whopping 20,000 pounds of food- fresh vegetables, meat, and more for Catholic Charities of Central Florida’s first ever mobile drive-thru food drop. She explained the parish pantry is open four days per week and feeds neighbors once a month. However, due to the recent influx of Puerto Rican and Venezuelan families, the pantry has limited resources. She indicated the partnership with Catholic Charities and Second Harvest enabled them to offer a greater variety of nourishment to more people.